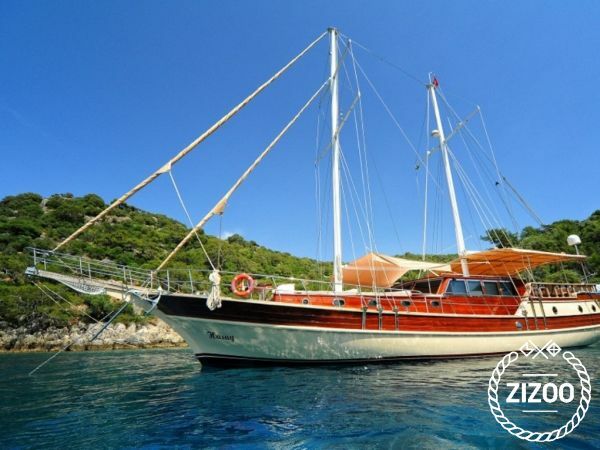 Hasay Yacht, After our gulet was completely refurbished in year 2012, and providing you with high class service and will make our valued guests leave with such precious unforgettable memories. Hasay boat, has 4 comfortable cabins with a length of 21 meters. She is an ideal boat for small groups not wishing to be in crowded places for there blue voyage, having the capacity to accommodate up to 8 passengers. Hasay Gulet Yacht.